After three years of developing the FIA Karting Endurance Championship, the Automobile Club de l’Ouest has looked for other categories to compete in the 2019 24 Hours Karting to increase the appeal of the classic Grand Prix at Le Mans for all endurance enthusiasts. 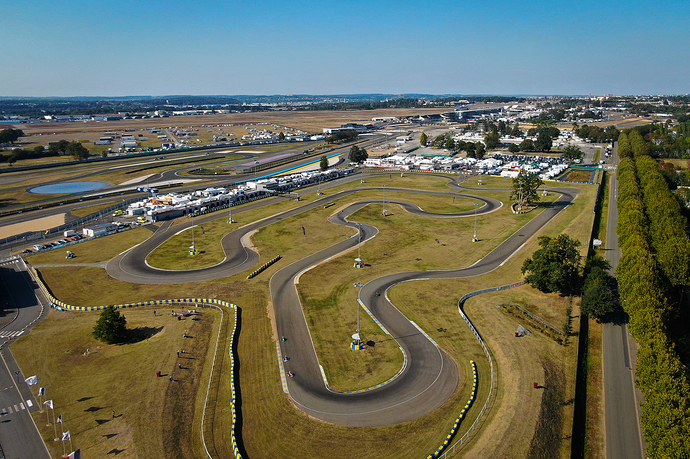 The victory of the Sodikart factory in 2018 has definitively established the reputation of the FIA Karting Endurance Championship, which has been a one-off event within in the Le Mans 24 Hours Karting since its creation in 2016. The work of promoting the event continues in encouraging other factory teams to take up the challenge. For this 34th edition which will take place at Le Mans from 27th to 29th September, 2019, the karts in the GP1 category will for the first time use MG tyres, the brand that has won the FIA call for tenders for endurance karting. Several decisions have been made by the ACO and the promoter KMO to update the discipline in relation to the expectations of the competitors. As a technical measure common to all categories, the refuelling system will now be identical for all competitors. The goal is to help limit expenses by banning specific parts that are unnecessarily expensive such as the quick couplings used in the past. The ACO wanted to introduce the Junior GP category instead of GP3 in order to clearly target Junior drivers from 12 to 15 years old who can use OK-Junior, Rotax Junior or X30 Junior engines. The success of the experiment tried last year by the Wintec Kartagene team with its young drivers and an OK-J engine motivated this new direction. In order to enable individual cost reduction, the ACO has decided to increase the maximum number of drivers in the GP2 and GP Junior teams from four to five, with the advantage of allowing more drivers to discover the enjoyment of racing for 24 hours. Unlike the GP1 karts, the GP2 and GP Junior will continue to use the LeCont tyres they have used for several years in the French Endurance Championship in particular. Finally, the minimum weight for the GP2 category has been increased from 160 to 165 kg. The goal is to equalise the chances of the majority of the field. Master crews, who are the most numerous in this group, will be penalised less by their weight in their fight for victory. The sporting clashes on the track will only be more intense. Six months before the start of the 34th edition of the 24 Hours Karting on Saturday, 28th September at the Le Mans Karting International Circuit, the ACO has already set the course for the world’s biggest endurance event so that every enthusiast can find their place in this legendary event. Download the rules of the event and the entry form below. How do these races work? Do they do engine swaps? I can’t imagine an X30, Rotax, or OK running for 24 hours straight. I once ran a Rotax for 81 hours between rebuilds. I think TM claims that their OKJ can be driven for a 24 hour race. @Trey_Shannon has run 24 hour events with no engine issues if I’m not mistaken. We ran a Rotax for 24 hours at New Castle without a single hiccup. Those batteries weren’t the greatest but the engine was good as new at the end. A friend of mine did the same with an X30 at PFi, said it ran like butter.